(Natural News) Despite claims to the contrary, the Trump administration has just proven that the FDA has indeed been buying and using aborted baby parts for medical research. As it turns out, the federal agency quietly signed a contract to obtain “fresh” fetal tissue from a California non-profit called Advanced Bioscience Resources (ABR). The plan was to implant the aborted baby tissue into humanized mice for medical research — but the Trump administration has taken a stand by putting the kibosh on the FDA’s controversial contract. For the pro-life community, this is could ultimately be an undeniable victory. The Trump administration says that it will be investigating all federal use of fetal tissue for medical research. What the outcome of their examination will be is not yet known, but for now, it seems buying and using aborted baby parts for “science” is off the table. The Health and Human Services Department says it has terminated the FDA’s contract with ABR due to concerns about the nature of the contract. “HHS was not sufficiently assured that the contract included the appropriate protections applicable to fetal tissue research or met all other procurement requirements,” a recent press release explains. “As a result, that contract has been terminated, and HHS is now conducting an audit of all acquisitions involving human fetal tissue to ensure conformity with procurement and human fetal tissue research laws and regulations,” the statement from HHS continued. As CNS News reports, the FDA first published a “pre-solicitation notice,” declaring their intent to enter a contract with ABR for the procurement of fetal tissue for research. “Fresh human tissues are required for implantation into severely immune-compromised mice to create chimeric animals that have a human immune system,” the FDA statement continued. As CNS News reports, the House of Representatives investigated fetal tissue procurement practices in 2016. 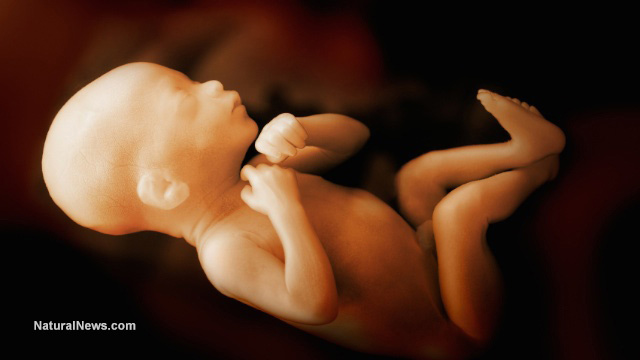 At that time, experts from Harvard University explained that fetal tissue needed to be obtained exclusively from aborted fetuses due to the importance of “timing” for the sake of freshness. As NBC News notes, the aborted fetal tissue is used for medical research — specifically, however, the fetal tissue is most known for its role in the making of vaccines. While the mainstream media often claims that the notion of aborted fetuses in vaccines is a “scare story,” NBC itself has finally admitted the truth. Natural News has repeatedly “blown the whistle” on the vaccine industry’s nefarious use of unsavory ingredients in the making of their toxic injections: Aluminum salts, thimerosal, and fetal tissue from aborted babies are just a short list of some of the alarming components used to create a vaccine cocktail. This is all openly admitted by the CDC itself which lists the excipient ingredients used in common vaccines such as chicken pox, MMR and TDaP. If this is the kind of information about vaccines that our government agencies are willing to disclose, it truly makes you wonder what is going on behind closed doors. Learn more at Vaccines.news.